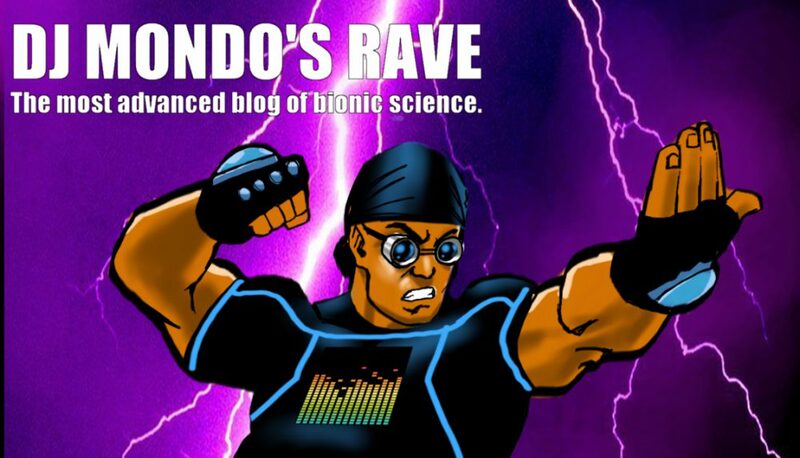 DJ Mondo’s Atomic Luau: App Fight!! Sound Check from the Mummy’s Tomb! I pitted the the sound of Arturia’s iMini app against a beat on Native Instrument’s Maschine. I decided to play the iMini myself, instead of sequencing. I’m not a great keyboardist and I’m not going to blame the quality of my playing on trying to do it on an iPad screen. Still, see if you can pinpoint the part where I really bombed (lol). That said, for an iPad app, iMini gets some great sounds that rival any hardware synth. We’ve discovered the source of life itself. If you’re into Techno or EDM, it’s the synthesizer. Multiple oscillators. Wide range of timbres and envelopes. The sound can go right through you. If you get a good sequence going, it’s awesome. 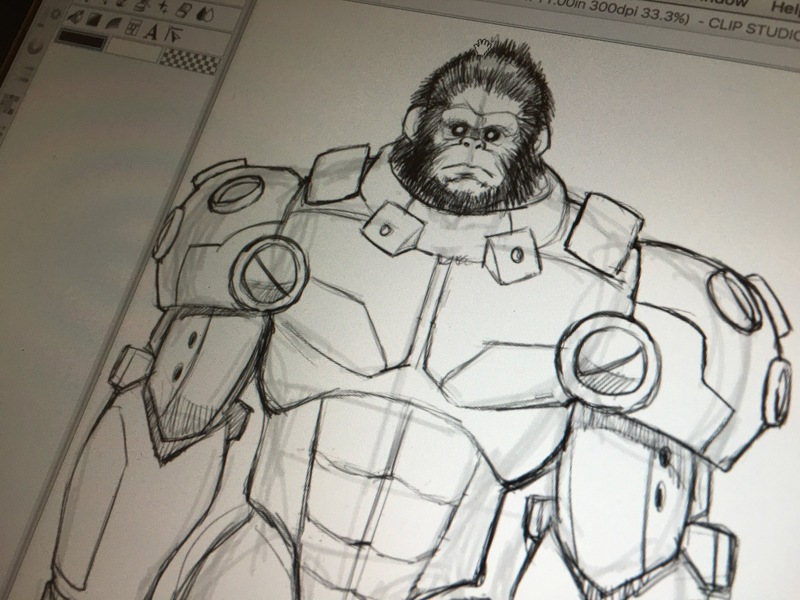 Sketch: DJ Mondo’s Robo-Ape companion gets refined. Robo-ape’s armor is a bit different every time he shows up. However, it never keeps him from lugging heavy equipment to our gigs. If you peel back the layers of just about anything, no matter how beautiful on the outside, you get to a point where it just might demoralize you to look any deeper. This is true for individuals, groups, organizations or governments. Entire industries are built on maintaining facades and obfuscating the true nature or function of specific entities. The sub-layers of hidden things humans encounter everyday can range from the mundane to the unbelievable. Like the fake piano playing in this track. Enjoy. App Fight. Two or more apps locked in combat to create a tune. This time, it’s Addictive Synth, Waldorf Attack, Turnado, and ThumbJam. All primo apps. Of course this would not be possible without Audiobus, the arena in which they meet. However, the entire composition suffers because of my terrible finger drumming. Jeremy Ellis and David ‘Fingers’ Haynes, you guys are still the Kings. DJ Mondo’s Lunch Rush: You’re Next!